Old Kent Town is up to 47.6!! So lets call that 48 for Adelaide, crazy stuff. Still pretty early in the day, 50C in reach now for Adel. Bergasms, my point is the fact that in SA, most of the heat records have gone un-broken for 80 years. Based on that, there's nothing that I can see to suggest that it couldnt be another 80 yrs before its broken again. Yes, it might be broken next year, but then it might be another 80 yrs before thats broken. Meanwhile we should see another WT max on the next update.... really wanting to break 46.4 which is Melb's record and is the highest for a capital city in Aust. Back in the late 80s I worked at DTSO over the summers. Catching a non-air conditioned train up to Parafield from Adelaide, sitting in a non-air conditioned lab all day, then catching a non-air conditioned train back to Adelaide. We had a few hot days. Nothing like this, thankfully - I can't imagine what it would be like having to do that on a day like today. Adelaide retakes the crown from Melbourne for official highest temperature recorded in a capital city.. But there is something you can see, which is the frequency of events changing. I mean, I agree with you in principle that it could be 80 years, it could also never be broken, but if I was putting money on it, I would be looking at the frequency of change of events. The change says that more records are being broken recently and the pace of record breaking is increasing, so the odds are better that a record will fall than a record will stand. It's just probability and stats ¯\_(ツ)_/¯ . Who knows, If we were having this conversation about Port Augusta breaking its record temperature on the 15th of Jan, well, we'd already be wrong. but records have not been broken here more frequently.... can you give me some stats on SA records that substantiate that? What I think you will find is that most recent records are from AWS stations that have only been open for less than 20 years or so.... so of course they will break their records more frequently. You need to look at these stats a bit more and not just jump on the bandwagon. ie. Port Augusta... open for less than 20 years. Of course they are going to break records. If they were open in 1939, maybe today they may have broken it. I think you'd have to assume they would have done, given that Snowtown, Port Lincoln and Tarcoola have all surpassed their 1939 numbers comfortably. This time 10 years ago, the bulk of high temperature records in Victoria, NSW and the settled areas of SA were from 1939, but those have been gradually whittled away; most of those in Victoria were broken in 2009, in the northern half of NSW in either 2013, 2014 or 2017, and in most of SA today. I suspect by the time we get to the end of tomorrow the only substantial area with surviving 1939 records will be parts of the inland southeast quarter of NSW (e.g. Wagga, Canberra, Bathurst, Richmond). Yep thats my point thanks Blair. A good 80 years its taken, and wouldve as well for most AWS's if they were around back then. I linked my source in my original post. Once again, I don't know if that is a reputable source, but it also covers exactly what you have mentioned with regards to the age of the weather station and the period in which data has been collected. "You need to look at these stats a bit more and not just jump on the bandwagon.". I literally linked a paper with actual stats in it. Of course, they are for Australia as a whole, so they might not be as pertinent to SA. And being at work I haven't been able to check the sources they cite. If it's wrong, I'm happy to cop that. Thanks for linking that, it looks interesting. So in your opinion is the conclusion i've drawn from that paper (That if you were betting, the odds of a record being broken again sooner rather than later is more likely than it not being broken) a good one or have i misunderstood the paper? the odds of a younger AWS breaking a record sooner rather than later is better than an older AWS doing it. Obviously. For the 2010 paper we restricted it to sites which had complete or near-complete data for the 1957-2009 period. During my 30min ride home last night my ave heart rate was ~30bpm higher than the evening before when it was 'only' 38, despite drinking plenty of water & riding more slowly. That was was quite sobering to observe - a reasonable rule of thumb for moderate physical activity is to assume a 10bpm increase in heart rate per 10C rise in ambient temp, but at 46C the body struggles to lose excess core heat fast enough to maintain itself at 37C, even with plenty of water intake & perspiration. Our previous record in the bottom of the Kuitpo valley was 39.5 degrees and we beat that by a solid 3 degrees. What surprises me in all of this is that the "experts" did not predict any of this. Instead, they forecast a"mild December", "no extreme heat" and January was supposed to be "relatively mild", "a few days in the mid-thirties". At the moment, our average for January is 4 degrees above normal and I'm wondering what February holds. Paging an observer near Yunta atm! hello...anyone? yer its been an impressive storm. Been watching it for several hrs from when it formed over the Flinders Ranges. Wouldnt surprise me if it makes it almost to Mildura! Finalised list of all the records across SA. All are All Time Records unless stated. Blue is Prev, Red is temp recorded on the 24th Jan.
Edit Reason: Updated as requested. Finalised list of all the records acorss SA. All are All Time Records unless stated. Note Eudunda, Edithburgh, Cummins AP and Whyalla AP have broken their ATH, I will have to get a Mod to remove those for me. City, Mount Barker, Kingscote, Keith, Roseworthy, Lameroo, Strathalbyn, Mount Gambier, Robe, Cleve, Port Lincoln are over 100 years old. There is one day missing a maximum temperature - a below average day (the 8th), which if we took Kent Towns temperature (26.9), would make it 32.85; thus only the 5th highest on record. As for daily maximum records go; just the one record day maximum was broken - it of course being the 24th. The 46.6 surpassed 42.0 set in 1982. The minimum record on that day is still from 1982 - 33.5, which was Adelaide's overall record until 2009. 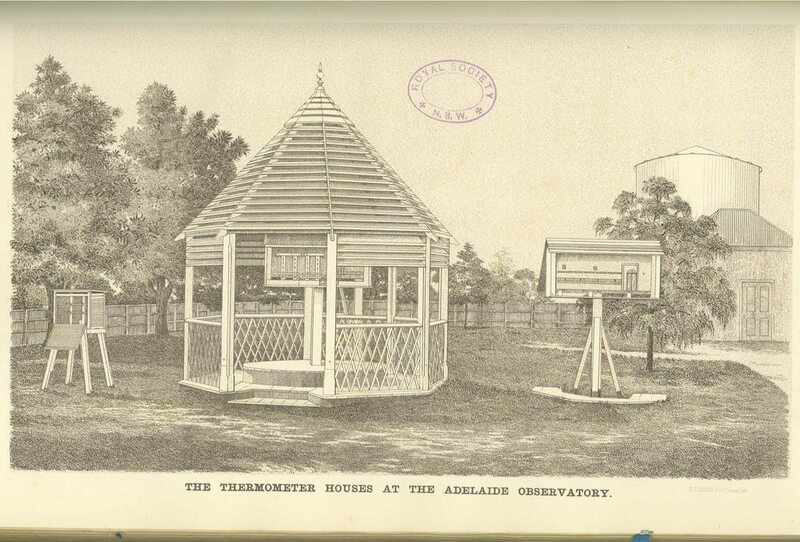 The Australian Meteorological Association has a public meeting next Tuesday Feb 19 discussing Home Weather Stations. The Bureau's climatologist Darren Ray will also be covering our recent heatwave. This is a great opportunity to discuss with Darren Adelaide's hottest month on record, the floods in Qld and the latest global climate report. 4 registered (snoopydoo, Homer, petethemoskeet, Kino), 66 Guests and 2 Spiders online. Generated in 0.048 seconds in which 0.004 seconds were spent on a total of 13 queries. Zlib compression disabled.